I understand that all teammates must have valid Food Handler's cards. I understand that food must be purchased from approved sources (example: Commissary). I understand that I will be serving 3-5 gallons of chili (each sample will be 2oz). I understand that I must have a fire extinguisher at my station. The 2nd Annual Armed Forces Day Parade will be held May 18, 2019. 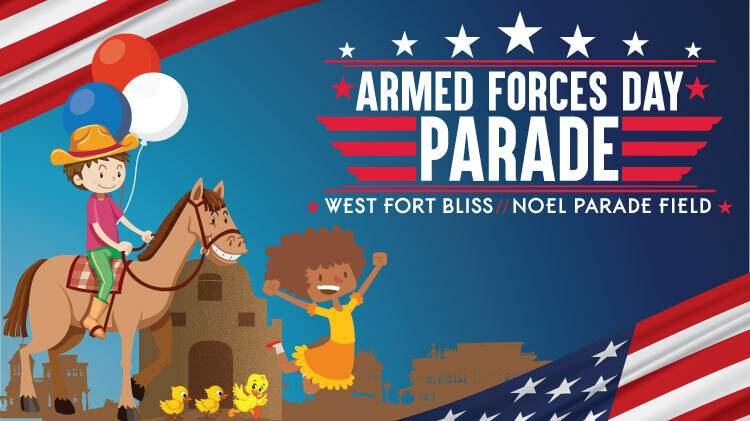 We are looking for Floats, Military Units, Schools, Marching Bands, and Community Organizations to participate is this amazing Fort Bliss parade. The application period has opened and we will take applications through April 22. Please read the application packet thoroughly and submit all necessary documentation to Fort Bliss MWR via email at blissmwr@gmail.com or in person to 12 Pershing Road. If you have any questions please contact (915)588-8247 or (915)568-2554. Celebrate Armed Forces Day at Fort Bliss!